# Citrus oils MAY BE irritating to sensitive skin and may increase skin photo sensitivity. These oils should not be applied before direct exposure to the sun. Uplifting oil that has a settling and clarifying effect on the mind. It promotes clear thinking and helps you to focus and concentrate. Can be used in a vapouriser or a drop neat on temples for the relief of mental fatigue, for concentration, clarity and decision making. Will help calm hysteria. As a body massage to assist in digestion, or for temporary relief of headaches, migraines and head colds. As it also aids in inducing mensuration. It should not be used as a massage blend in the first trimester of pregnancy. Treatment: Improves hair lustre, mosquito repellent. Refreshing citrus oil that helps disperse anxiety, frustration, depression and tension. Very versatile oil that blends well with others for use in vapourisers, Therapeutic baths or as a body massage. Will help stimulate the appetite and relieve cramps when massaged onto the body. Sedative BUT uplifting. Treatment: It has antiviral and astringent properties therefore can be of benefit with healing of skin conditions such as; acne, cold sores, chicken pox, dermatitis and eczema. A few drops in a glass of water is also good as a mouth wash.
Has the restful, centering effect of the forest. It brings harmony and strength and has a relaxing and regenerating effect that helps to alleviate long term anxiety. Helps to stabilize when off balance, and restore energy when exhausted, tense or angry. * Sedative effect is similar to Sandalwood and can be used when sandalwood unavailable or too expensive. Treatment: Astringent properties as benefit for oily skin conditions and acne and is great as a scalp conditioner especially for dandruff. It is restorative to the body and helps relieve chest congestion. Good as a steam inhalation or in a vapouriser for temporary relief of sinusitis. It is also an excellent foot deodoriser and makes a soothing foot bath. The most euphoric oil and it calms the spirit and mind, combating tiredness and easing tension, especially fear, paranoia and delusions. Clary Sage is especially effective in times of stress. It relaxes and uplifts releasing depressed thinking especially PMT as it also regulates menstruation and relieves abdominal cramps. Useful in compress application and abdominal massage in these cases. Body massage and Therapeutic baths and vapourisers are excellent for total all round treatment. Treatment: Moisturising for dry skin and in treating complexion blemishes. Respiratory: Whooping cough, Asthma & Throat Infections. “The transitional oil”- encourages the process of ” taking in and letting go “ helping those who have the inability to accept, promoting change. It strengthens the over-burdened nervous system, soothing anger and restores calm. Gentle body massage towards the heart or relax in a Therapeutic Bath which will also relieve tension and disperse nervous anxiety. Treatment: Steam inhalation will refine pores and oily complexions and strengthen facial capillaries. The deodorising and astringent qualities of cypress is good for wet feet and foot odour. Cypress assists with peripheral circulation, nourishing veins and arteries. Great for relief of tired legs & swollen ankles. An invigorating and clarifying oil for the mind as well as the better known antiseptic and decongestant properties. As it decongests and opens the chest on the physical level it is able to dispel melancholy and revive the spirits, restoring vitality and promoting a positive outlook. Treatment: Rapid healing of infections & wounds. Also used in massage to relieve muscular pain and neuralgia. Use to massage on chest and shoulders for respiratory congestion, stimulating the immune system. Also used in vapourisers for making breathing easier. Can be used as a gargle for throat infections by placing 1 to 2 drops in half a glass of warm water. Gives strength and courage in troubled times. Helps those with great ideas to verbalise and articulate to express their ideas and concepts. Unexpressed emotions will churn around and build up in the gut (nervous tummy)causing tension that effects the bowels. Treatment: A calming & warming oil, it is best known and used as a digestive system as it relieves nausea, colic and flatulence. It assists in The metabolism of fats and aids digestion and the elimination of toxins. Revitalising, warming and rehydrating but in large doses can over-excite the nervous system. A rejuvenating oil that comforts and soothes the emotions. It is a deeply relaxing oil that is excellent for dispersing fear and to fortify and comfort the spirit. Used to cease mental agitation and worries and whenever the mind is overwhelmed with distracting thoughts. Very useful aid for meditation as it has a deeply clarifying effect on the intellect. Treatment: Rejuvenating for mature skin as it heals and repairs. Is effective to relieve respiratory cattarah, discharge and congestion. Often used in abdominal massage as a uterine tonic. This is the balancing oil as it is an excellent harmoniser which helps balance mood swings and hormones. Great relaxer and is a refreshing oil used during negotiation, discussions and in times of stress. It relieves anxiety and depression and works closely with the adrenal cortex helping to relieve stress. Treatment: Normalisers skin imbalances and promotes healing and awakens parched skin. Used largely in wholistic treatments, relieving PMS, Menopausal imbalances and depression. As it is a lymphatic stimulant it is often used in lymphatic drainage especially when fluid retention and congestion present. This warm nourishing oil is great when you are emotionally cold – it will give a much needed boost to confidence and morale, especially for those low in energy. It sharpens the senses and aids memory, stimulating and grounding. Great for those people who procrastinate and have doubts – activates will power and stimulates initiative. Treatment: It’s warming and drying properties help dispel internal mucous, giving warm and comforting relief to catarrhal conditions. It’s exotic oil helps to dispel the discomfort of indigestion and nausea. Ginger is zealous in bringing about warmth and relief to painful, rheumatic joints and muscular stiffness, aches and pains. A refreshing & uplifting oil that increases mental alertness & clarifies the thoughts. Use in a vapouriser to refresh and stimulate the mind. It calms, lightens and refreshes, dispersing confusion and worries. Treatment: Astringent for oily skin it strengthens broken capillaries and can brighten pale and dull complexions. For clearing the lungs and respiratory relief and in a massage blend as a venous tonic with gentle massage towards the heart. This refreshing oil is tonifing and cleansing to the whole system. It is a nerve tonic that purifies the emotions and releases anxiety. Great for Jetlag and Fatigue. Treatment: Tonifies and strengthens and steam treatment will refine and firm sluggish skin. Makes a refreshing Therapeutic bath that will tonify muscles and skin while its fragrance adds a head clearing effect. An excellent cleansing deodorant, especially where there is an excess of perspiration. Great in a footbath as it’s bacterial properties prevent fungal infections. Calming to the spirit, reducing insomnia and anxiety, it is often the chosen oil for pregnancy and children in synergy with other citrus and spice oils. Treatment: Good for oily and congested skin, scars, spots and stretch marks. For the circulation it helps in reducing fluid retention, making it an ideal choice for lymphatic work. In children and the elderly it has a reputation for strengthening the digestion function and the liver. The most sedating oil that is excellent for long term insomnia as it promotes deep and restful sleep. It’s warm penetrating aroma works to lessen physical and emotional responses and especially comforting during times of grief. It nourishes the heart helping to restore the power to give. Helps calm the obsessive, and restore balance to those that think “that no-one cares”. This bright and energetic oil promotes joyful communication, it’s warm sensual aroma creates a light-hearted happiness while it calms and relaxes. Great to burn in a vapouriser when entertaining and on special occasions. As a body massage will also lift depressive states and tames the proverbial butterflies. Especially good for the “perfectionist” who have low tolerance levels. Treatment: Useful for mature and dry skins and in cleaning oily skin. Helps to normalize the peristalsis movement of the bowel relieving both constipation and diarrhoea. A rich earthy oil that provides a strengthening action on the emotions and is especially good for nervous exhaustion and stress related conditions. For the “day dreamer” who is disconnected from reality. It is a deep relaxing oil that is reputed to have a aphrodisiac effect. Blends well with Orange and Ylang Ylang. Treatment: Gives relief to cracked and chapped skin and fungal infections. Used in the East to scent Linen and clothes. Invigorating and cooling oil that energises and stimulates the mind and body, breathing fresh life into tired, jagged bodies. Peppermint enhances concentration and absorption, and facilitates the digestion of new ideas. It also helps to develop emotional tolerance. Treatment: Inhaled or massaged into stomach (clockwise direction) will relieve nausea and stimulate the digestion. Peppermint has the unique quality of being cooling when you are hot and warming when you are cold. Excellent used to regulate temperature in fever conditions. Respiratory System: Sinus, colds & asthma. Note: Spearmint is a better mint to use for children’s maladies as it is much gentler. Crisp, exhilarating oil that is inspirational and clarifying to the mind, promoting energy and well-being. Especially good for those that “blame themselves” and feel responsible for others. It dispels guilt and remorse and promotes self-acceptance. Treatment: Soothing for muscular aches and pains and stiffness especially as Therapeutic bath or massage. In a vapouriser or body massage it also stimulates circulation and oxygen exchange in both skin and lungs. Good for respiratory conditions and when fatigued. A restorative oil that helps clear heat and inflammation and restore the balance of energy. Cools the heat from the liver that results in tension, irritability, headaches and constipation. Helps to heal emotional wounds, such as rejection and loss, calming and supportive to the heart, restoring a sense of well being, bringing with it nurturing and warmth to the soul. Treatments: Clears stagnation in the blood and organs related such as gall bladder, liver, female organs. It has astringent and haemostatic properties, making it helpful with excessive bleeding. For the skin it is particularly good with rehydration and soothing of inflammation. Rose water is excellent for soothing and toning the dry and sensitive skin. The most stimulating oil that activates willpower and memory and promotes clear thinking. An invaluable, rousing aroma for students, office workers and other brain draining occupations. Use as a vapouriser, as a body massage or by direct application to temples to stimulate the senses and awaken the soul. Rosemary renews enthusiasm and boosts confidence especially good for those who lack faith in their own potential. Treatment: Traditionally used to stimulate hair growth and add lustre to the hair and prevent dandruff. As a massage blend, it is excellent for tired and injured muscles. A refreshing and potent herb that is encouraging and fortifying to the mind and emotions. Thyme revives low spirits and combats exhaustion. Helps to ground those that are dreamy and detached. Treatment: It’s antiseptic properties is used for infections, colds, coughs and other congestion as it works to stimulate the body’s natural defence against disease. 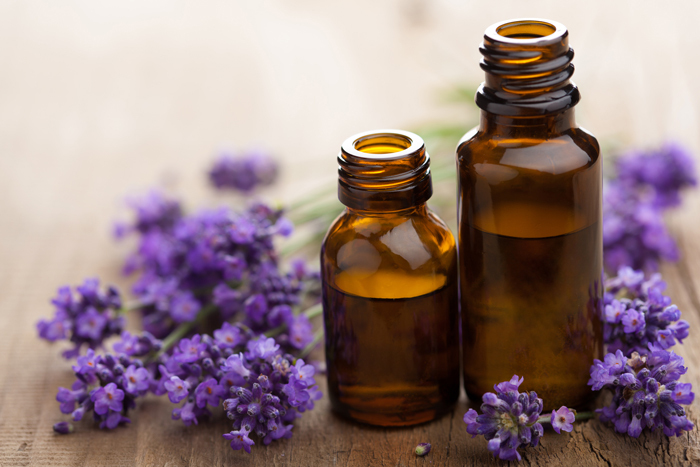 Should be blended with other oils such as Lemon, Lavender or Eucalyptus to tame the initial potency of the oil. A deeply relaxing oil with a pungent aroma which brings strength and assists in the release of anger and tends to draw opportunities towards yourself. Especially good with burnout and exhaustion. Another one indicated for “the perfectionist”. Treatment: Regenerating at the deepest level, it renews the strength of connective tissue, joints, soothing to irritations and is a great moisturiser for mature skin as it strengthens the deepest layers of the skin. It’s restorative powers helps with appetite, weight loss, anemia and malabsorption. It tonifies the glands and is indicated for any endocrine imbalance. This intoxicating exotic aroma releases stress and soothes away anger and frustration. It is a sensual and uplifting fragrance that enhances romance and sensuality. Great as a pacifier in times of suspense and drama, soothing restlessness and agitation. Treatment: Normalising action on an over oily skin. Can be effective with controlling epilepsy.